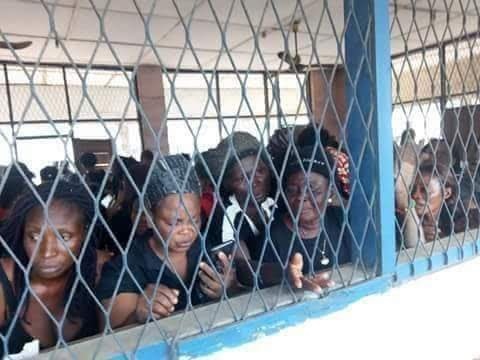 The activist spoke against the background of the unconditional release of the 114 women members of the Indigenous People of Biafra (IPOB) by a high court on Friday in Owerri. “My advice is that Nigerian women must not allow themselves to be silenced by any anti-democratic elements or authority. “They must understand that they have a right to peaceful protest, which is a fundamental human rights and as such, no one should be allowed to deny them of it. “Women must also realise that they can lead the society out of whatever injustice, as already demonstrated by the IPOB Owerri 114. “This should serve as a lesson to other women to learn from,’’ Okei-Odumakin said. The activist also urged the women to approach the courts to demand proper compensation for alleged unlawful detention. Okei-Odumakin regretted that innocent people were incarcerated in an inhumane and illegal way for merely expressing themselves in a legitimate manner. She urged the police and whoever was involved in the arrest and detention of the women to tender an unreserved apology. Okei-Odumakin expressed joy that her organization joined other pro-democracy elements in demanding for the release of the women through pressure well-coordinated by Nigerians and stakeholders in Imo state.